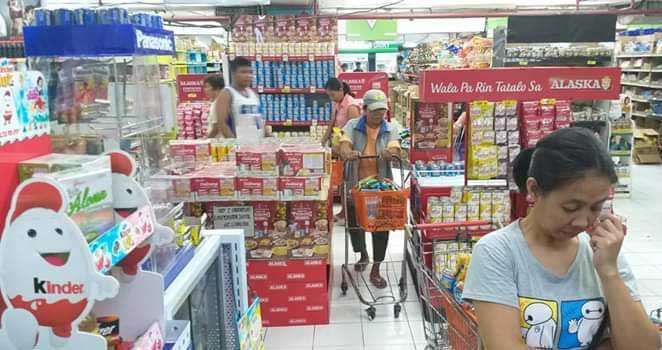 CONSUMERS in Negros Occidental should brace for higher prices of basic and prime commodities in the province amid the new suggested retail prices (SPRs) issued by the Department of Trade and Industry (DTI). Reginal Hudierez, senior trade and industry development specialist of DTI-Negros Occidental, said on Tuesday, March 12, that though the new SRPs took effect last February 13 yet, DTI has not monitored the upward movement of the prices among local supermarkets and other stores except for milk. Hudierez said major establishments in the province, especially Bacolod City, possibly still have buffer or old stocks, thus, their prices remain steady. “We could expect adjustments on the prices, maybe starting third week of the month when stores here start to obtain new stocks,” he said, adding that buffer commodities of local establishments may still last for at least a month after the issuance of the new SRPs. Basic necessities under DTI’s monitoring include products like soap, milk, coffee, salt, bread and sardines. Examples of prime commodities, on the other hand, are noodles and all kinds of canned goods except sardines. Under the new SRPs, prices of selected products like milk, sardines and processed meat have increased. The prevailing price of canned sardines in tomato sauce ranges from P13.25 to P17.50 depending on net weight and brand. The figure is higher compared to previous SRPs issued sometime in December, Hudierez said, attributing the increase to fuel cost and spike in prices of raw materials including “tamban” or the fish used, tomato paste, as well as tin can. For milk products, DTI-Negros Occidental has already monitored an increase ranging from P0.50 to P3 per can among four different brands. “This is due to increase in prices also of raw materials like skimmed milk powder and milk fat triggered further by the weakening Philippine peso,” he continued. The DTI has set SRPs ranging from P28 to P70.20 per can of condensed milk depending on net weight and brand. Evaporated milk costs P20 to P56.60 per can. Different brands of 150 grams of powdered milk are sold at P43.50 to P73.30; coffee refill costs between P16.75 and P39.75; and three-in-one coffee costs between P4.10 and P7.85, also depending on net weight and brand. For bread, Pinoy Tasty costs P35 per 450 grams while Pinoy Pandesal is sold at P21.50 per 250 grams. SRPs for other basic commodities like instant noodles are P6.30 to P7.20; salt, P6.50 to P17.25; detergent or laundry soap, P16.35 to P21; bottled distilled water, P6 to P81; purified water, P5 to P22.50; mineral water, P6 to P72 also depending on net weight and brand; and candles, P40 to P115 per piece depending on size. For prime commodities, SRPs of luncheon meat range from P31.50 to P32.50; meat loaf, P16.50 to P19.80; corned beef, P18.50 to P37; beef loaf, P15.75 to P24.90; vinegar, P6.40 to P14.70; fish sauce locally known as patis, P9.45 - P22.50; soy sauce, P8.35 to P17.35; toilet soap, P14.50 to P40.50; and batteries, P27 to P172 depending on net weight and brands. DTI-Negros Occidental, in a press statement yesterday, said the effectivity of new SRP for 380 grams of Tide Bar Original Scent will be on March 30, instead of March 1.From the current SRP of P20.25, it will increase to P21, the agency said. Hudierez said the department already distributed copies of the new SRPs to major establishments in the province including supermarkets and grocery stores. Hudierez said these stores as well as retailers are obliged to observe the SRPs. They may only increase in “case to case” bases. “They should be able to justify the increase like because of transportation cost,” he said, adding that erring establishments may be charged of profiteering.